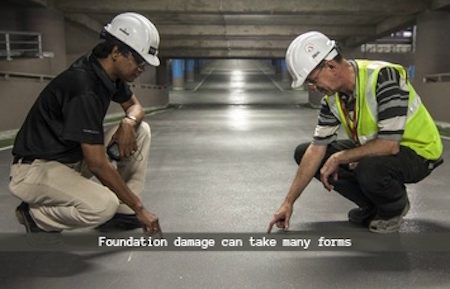 Foundation failure is a significant, not to mention, costly problem in its own right. But the sooner you identify potential problems, the easier – and less expensive – it is to repair them. Homeowners often wonder how to identify the different signs of foundation problems. Fortunately, most of these problems are often visible. Before a foundation is laid, the earth beneath it needs to be properly prepared. Soft, low-density soils and/or improperly compacted soil beneath a structure can cause serious issues. The foundation can sink under the load bearing weight of the structure. Large tree roots can severely affect a building’s foundation. Roots of certain trees can creep under your house and damage your slab or even lift your foundation. It’s therefore key to select trees that don’t have an invasive root problem. As a general rule of thumb, choose trees that have taproots. Examples of such trees include conifers, hickory, walnut trees, and oaks. Leaks can go unnoticed for weeks, if not months. Many homes in Dallas have cracked concrete slab foundations due to an unknown leak. It is important to check for leaks from pipes, plumbing fixtures, and fittings to prevent expensive foundation issues. The first step to tracing any leakage is to check the readings of a water meter. According to a report, the average household in the US uses a little over 10,000 gallons of water a month, ten percent of which is wasted due to plumbing issues. Check the flow indicator. A check flow indicator is a small rotating wheel on the meter that can detect even small amounts of water flow. If it’s moving then there are leaks located somewhere in your house. At this point, you could consider getting professional help. Another source of water leaks is the sewer line. Sewer lines should be checked every 2-4 years. For this, you will need to hire a plumber. Improper drainage is one of the leading causes of foundation failure. Poor drainage can leave your home vulnerable to a number of serious health, safety, and financial concerns. In North Texas, the soil and the climate are major contributors of foundation issues. Clay soil is one of the worst types of soil to build a foundation on. When it’s very dry, it shrinks. Alternatively, when it’s wet, it swells just as dramatically as it shrinks when dry. This drastic change can create pressure against the foundation, which can lead to foundation movement. 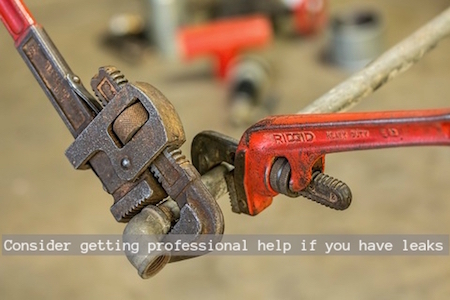 If you suspect a plumbing leak, contact a professional plumber right away. The sooner you identify potential problems, the easier – and less expensive – it is to repair them. A professional plumber can perform plumbing tests, which can help determine if there are any leaks present in the plumbing system. The inspection should cover the interior and the exterior of the house. This is because foundation damage takes many forms. For example, cracks in your slab could mean that the ground adjacent to your home’s foundation is very dry. A good foundation drainage system will help avoid a good number of foundation problems. French drains in combination with surface drains work best. This helps prevent foundation damage by drying heat. A soaker hose is an effective way to control the moisture content of the soil around the perimeter of your home. This can then stop the erratic up and down movement of your foundation and can lead to fewer expenses on home repair. Sprinkler systems help, too. Get in touch with us at Granite Foundation Repair a professional foundation repair company in Dallas as soon as you notice any of these warning signs. There are many causes of foundation problems in the Dallas area. If you suspect that your house may need foundation repairs, call us.